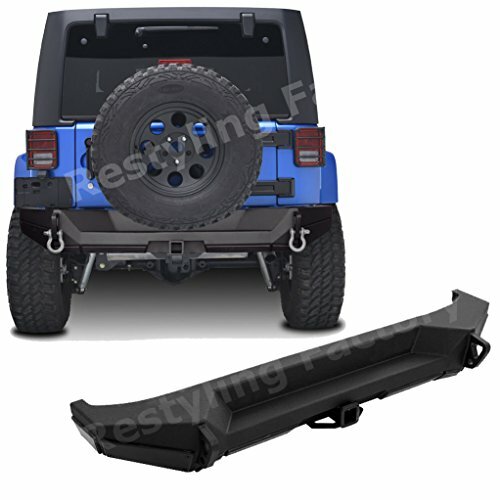 Browse our wide selection of Jeep Wrangler JK Rear Bumpers to find the best prices for your Wrangler 2-Door or 4-Door. 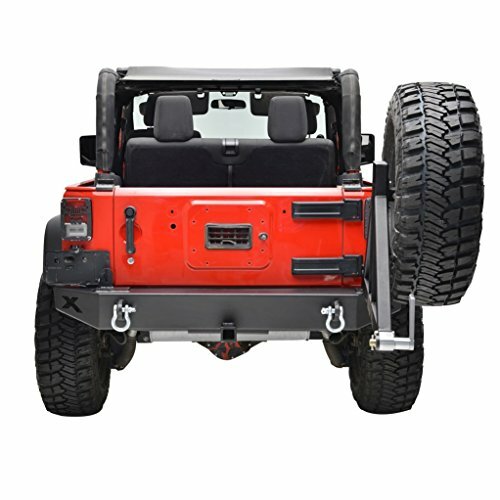 In this category you will find JK Wrangler Rear Bumpers for the 2007, 2008, 2009, 2010, 2011, 2012, 2013, 2014, 2015, 2016, and 2017 Jeep Wranglers. You can either select a product category or use our search box to find specific items in our store. Feel free to use our filtering options to sort by popularity, price or ratings within a category. 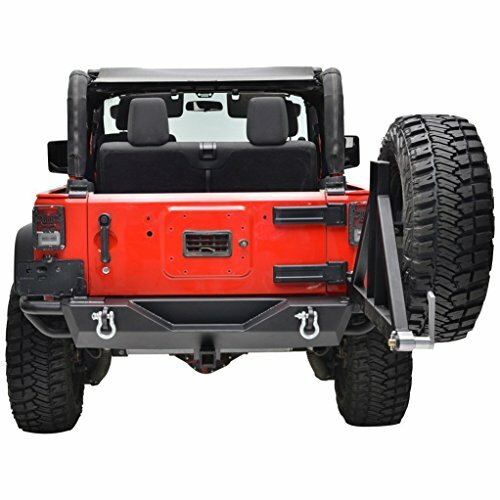 The JK Jeep Wrangler Rear Bumper products include rear bumpers with heavy-duty tire carriers, rear bumpers with hitch receivers, rear bumper with D-Rings, rear tube bumpers, rear replacement bumpers and more. 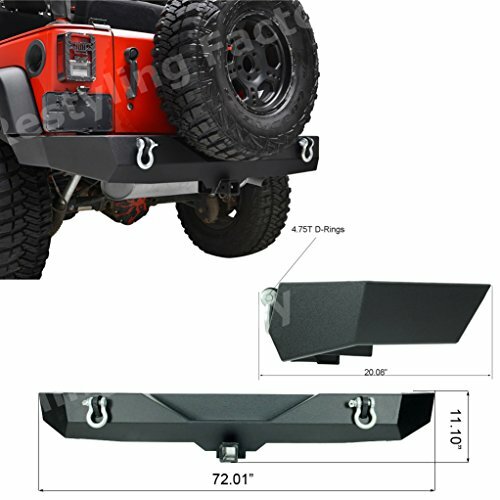 One of the most important upgrades for a JK Jeep Wrangler is the rear bumper. Unfortunately, the stock front bumper doesn’t offer very much help off-roading and barely any protection or recovery options. Adding aftermarket Rear Bumpers should be very high on most Jeepers list of things to modify. 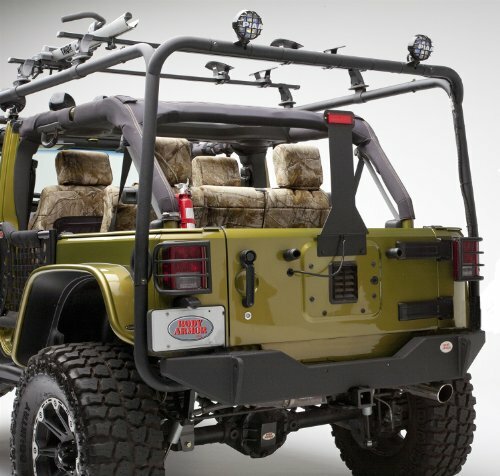 Not only will your Wrangler be more sturdy, but rubbing a tree or being stuck in the mud becomes much less worrisome with aftermarket JK Rear Bumpers.